Do you know that recycling and composting can save you up to $200/year? 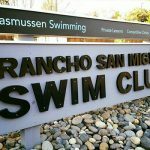 The RSMA board and RSM Green Team have teamed up to organize the next RSM Quarterly Meeting which will be taking place on Tuesday June 26th, 7:00-9:00pm at the Rancho San Miguel Swim Club. Simple actions can achieve big changes. Come and learn how you can help without sacrificing your lifestyle. Stop in and hear from Republic Services about recycling, Recycle Smart about composting and MCE about clean energy, as well as some of our passionate neighbors who will share their experience with installing solar panels on their houses. You will also be introduced to your RSM Green Team. A fun event for the whole family, young and old are welcome to join, so make sure to mark the date in your calendar. Everyone can participate in learning about recycling with the spinning wheel game provided by Republic Service. Our babysitters will entertain your kids so you can enjoy the meeting. There will be exciting giveaways and a raffle, and we will have healthy and delicious appetizers prepared by our wonderful neighbor and pastry chef Libby Oda. – Giveaways and raffle – come and win! For questions regarding the event please contact Monique Pickering via Nextdoor.